On Nov. 22 and 23, 2017, Juan Haro of East-Harlem-based Movement for Justice in El Barrio came to Montreal to present their resident-led mobilizing strategies and exchange with local organizers on ensuring community-owned, community-led housing rights victories. 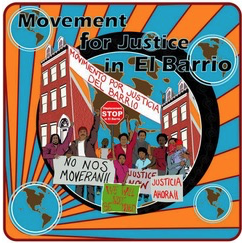 Movement for Justice in El Barrio is a People of Colour (POC)-led grassroots movement that has successfully prevented the displacement of hundreds of racialized people (largely women and children), living in rent controlled apartments in East Harlem. As part of this visit, two workshops were organized in collaboration between the Office of Community Engagement at Concordia, the Faculty of Education at McGill, the Center for Community Organizations (COCo) and the Centre for Gender Advocacy. These two workshops were held at the Imani Community Center in Little Burgundy and at the William-Hingston Centre in Parc-Extension, with the support of the Comité d’action de Parc-Extension (CAPE). At 9 a.m. on Nov. 22, approximately 30 people were settling in at the Imani Community Center in Little Burgundy. Among them were local residents, community organizers and neighborhood outsiders keen on learning from the effective East-Harlem-based collective, and considering potential extrapolations to a Montreal context that’s seen real-estate lost to private developers in several increasingly contested neighborhoods. In the context of Little Burgundy, the successful grassroots organizing campaigns spearheaded by Movement for Justice are inspiring, especially given Movement’s unwavering commitment to taking its cues from its membership. Movement for Justice in El Barrio is an immigrant-led, women-led example of sustained resistance to urban displacement. According to Juan Haro, the organization was founded by low-income immigrant women of color, mostly single mothers. Since the organization was founded, they have organized 95 Building Committees throughout our beloved East Harlem neighborhood. Currently, 80% of their members are women and 95% of their membership consists of immigrants. Movement’s commitment to self- determination, participatory democracy, and collective decision-making ensures that women and immigrant folks are the ones that develop the strategies and the overall path they take in their struggle for justice. A sustained track record of pushing back on encroachment through a Zapatista revolution-inspired practice of direct democracy, and has led to undeniable victories including protesting and ultimately successfully preventing the 2008 take-over of 47 apartment buildings by realestate giant Dawnay Day Group. In Little Burgundy, the 2-hour Movement for Justice workshop led to polarized exchanges, reflecting the cleavages between a widespread institutionalized approach to community housing, funder-dependant and advocacy-reluctant service-provision organizations, and engaged tenants findings themselves experiencing the same sorts of displacements that have occured in New York City, and in other urban centres across Canada -- most notably Toronto and Vancouver. These are the exact same displacements occurring in the Parc-Extension neighborhood, home to many newcomers to Canada where Movement for Justice showcased its next day workshop to 60 odd concerned individuals. There, Juan Haro stressed the importance of building solidarity among residents experience financial precarity, striking a chord given that Parc Extension is home to many low-income individuals, children under 6 from a low-income family and low-income seniors. Many of these residents live in precarious housing. The neighborhood holds high amounts of renter households and high amounts of renter households that dedicate 30% or more of income to housing. Yet, Parc Extension is also experiencing increasing encroachment, partly as a result of a major university initiative slated for development. In 2019, the Université de Montréal will open a $145 million dollar science complex that will contribute to re-shaping the fabric of the neighbourhood, including changes to the cost of housing and potentially displacing large numbers of families who are already struggling to make ends meet. There was a palpable sense of urgency among participants, particularly in relation to the recent purchase of Hutchison Plaza, a neighborhood building currently used by several locally owned businesses and faith-based centers. The announced Hutchison Plaza evictions were evidently seen by many workshop participants as heralding incoming shifts to the neighborhood. Not unlike the previous day’s exchanges in Little Burgundy, the Park-Ex exchange was characterized by a disconnect in organizing approaches between the ground-up perspective advocated by Movement for Justice in El Barrio, the more centralized approach of the CAPE, and the service provision of local non-profits. Many of these would pool together spontaneously at the end of the workshop in order to discuss joint strategies to the recently announced Hutchison Plaza evictions. In that respect, Haro stressed the importance of an organization taking its cues from its membership and building, first-and-foremost, site-based resistance. Movement for Justice organizes in apartment building lobbies, and only commits to organizing in a building if a majority of the tenants commit to leading the fight and subsequently show up to meetings. This commitment to the development of site-based, on-the-ground capacity-building, means that they work without requiring cues from funders or politicians, and in partnership with other organizations across the U.S.
“We have formed relationships with people of good heart fighting for justice in their respective communities throughout the U.S. and in other corners of the world such as Montreal. We believe it is essential to collaborate with other organizations in the broader social justice movement to fight injustice on multiple levels and to walk together as we strive to create a world where all worlds fit … Over the years, we have collaborated with local service-provision organizations by referring folks to them that may be in need of the services they offer and/or asking them to inform folks they work with about our struggle for justice. We have also partnered with organizations that have pro-bono attorneys and/or can contribute efforts towards policy change,” said Juan Haro. Movement for Justice offers a deceptively simple and inspiring example that has struck a chord with many outside of the East Harlem context. This has led to Movement for Justice organizers traveling far and wide, offering workshops and giving talks. To Haro, these connections are a crucial part of their strategy to improve access to safe and affordable housing for all people, by building similar capacity among organizers and residents on an international scale. Closer to home, according to Haro, Movement for Justice Organizers strive “to create spaces to bring together community activists and organizers by hosting gatherings such as Encuentros for Humanity and Against Neoliberalism and International Women’s Day celebrations. During these gatherings, we listen and learn from one another and contribute to the building of networks of resistance.” Additionally, the movement hosts an annual free 2-day symposium titled, Community and Movement Building for Justice for activists and community organizers seeking to learn from one another and share effective strategies for preventing urban displacement. 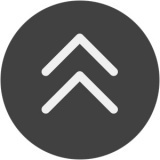 Sidestepping an oft-found Canadian tendency to situate housing advocacy in relation to developers and city centers, Movement for Justice ultimately emphasizes the importance of door-to-door work, led by the people directly affected by the issue at hand. According to Haro, organizers must use decentralized approaches, moving towards strategies that are equal parts social movement facilitation, popular education and community organizing. The emphasis is on effective outreach and the promotion of ongoing collective social analysis among previously disconnected residents. Together, residents, through participation in newly created affinity networks, work to prevent homelessness and increase stability through collective efforts. Fighting displacement, and resisting unlawful eviction practices, becomes a lived process in a context previously typified through precarity and vulnerability - as a result of joint investment, participants experience the means of forming strong and mutually supporting communities. 60.5% of Park Extension residents are newcomers vs. city-wide average of 33.2%.